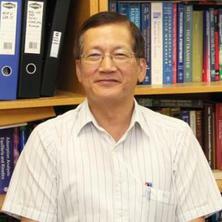 D. D. Do received his BE (Hons) and PhD at the University of Queensland in 1979. After a period of Research Fellowship at California Institute of Technology in the US, he joined UQ 1981 and was promoted to Professor in 1991. He has spent a number of sabbatical leaves at Rensselaer Polytechnic Institute (US), ICI (UK), University of New Brunswick (Canada), University of Porto (Portugal) and University of Chiba (Japan). He received a number of awards: Colombo plan, Commonwealth Research Award, Union Carbide prize, Esso award of Excellence in Chemical Engineering, Excellence in teaching and Q-Index Top 10 Researchers at University of Queensland. He is on editorial board of a number of journals: Adsorption, Adsorption Science and Technology, Journal of Non-Equilibrium Thermodynamics and Frontiers of Chemical Engineering. He organized two conferences – The third Chemical Reaction Engineering workshop in 1984 and The Second Pacific basin Conference on Adsorption Science and Technology. My research is evolved around the development and application of molecular simulation tools to understand the fundamentals of adsorption and desorption of gaseous mixtures on crystalline and amorphous surfaces and in confined spaces of pores of various topologies. Recent research is focussed on the development of kinetic Monte Carlo and Bin-Monte Carlo simulations and the microscopic understanding of hysteresis in gaseous mixtures in ordered mesoporous solids, and the development of a new algorithm to determine the equilibrium phase transition in complex pores. D. D. Do teaches Transport Phenomena and Principles of Adsorption subjects. A program on molecular simulation is developed for the subject of Principles of Adsorption. He wrote three books in Chemical Engineering. Wang, K. and Do, D. D. (1999). Single- and multicomponent adsorption equilibria of hydrocarbons on activated carbon: The role of micorpore size distribution. In James A. Schwarz and Cristian I. Contescu (Ed. ), Surfaces of Nanoparticles and Porous Materials 78 ed. (pp. 391-441) USA: Marcel Dekker. A molecular simulation study of adsorption and desorption in closed end slit pores: is there a hysteresis loop? Zheng, Q., Do, D.D., Chen, W. and Cai, Z. (2010) Determination of the pore size distribution of the activated carbon by adsorption data of supercritical hydrogen. Lizi Jiaohuan Yu Xifu/Ion Exchange and Adsorption, 26 6: 551-558. Zheng, Qing-rong and Do, Duong-D. (2010) Methane adsorption on activated carbon and carbon black. Ranliao Huaxue Xuebao/Journal of Fuel Chemistry and Technology, 38 3: 359-364. Do, D. D. (2006) Surface area and energy distribution of non-graphitized carbon surface. American Chemical Society. Abstracts of Papers (at the National Meeting), 230 U1087-U1088. Ustinov, E. and Do, Duong D. (2005) Nitrogen and argon adsorption on non-graphitized carbon black. Application of DFT. Annales Universitatis Mariae Curie-Sklodowska. Sectio AA, Chemia, 60 65-78. Ustinov, E. A., Do, D. D. and Jaroniec, M. (2005) Pore size characterization of mesoporous materials by a thermodynamic approach: A curvature-dependent solid-fluid potential. Nanoporous Materials Iv, 156 -: 663-672. Mowla, D., Do, D. D. and Kaneko, K. (2003) Adsorption of water vapor on activated carbon: A brief overview. Chemistry And Physics of Carbon, 28 229-262. Kowalczyk, P., Gauden, P. A,, Terzyk, A. P., Do, D. D. and Rychlicki, G. (2002) Characterising porous carbonaceous materials using the new methods: An attempt for estimation of micropore size distribution function from adsorption isotherm of nitrogen and benzene. Annales Universitatis Mariae Curie-Sklodowska. Sectio AA, Chemia, LVII 2: 46-74. Do, D. D. and Nguyen, C. (2000) Underlying mechanism of DR equation for adsorption in activated carbon. ACS Division of Fuel Chemistry, Preprints, 45 4: 894-896. Do, D.D. and Wang, K. (1998) Predictions of adsorption equilibria of nonpolar hydrocarbons onto activated carbon. Langmuir, 14 25: 7271-7277. Do, D. D. and Wang, K. (1998) Dual Diffusion and Finite Mass Exchange Model for Adsorption Kinetics in Activated Carbon. AIChE Journal, 44 1: 68-81. Wang, K. and Do, D. D. (1997) Characterizing the micropore size distribution of activated carbon using equilibrium data of many adsorbates at various temperatures. Langmuir, 13 23: 6226-6233. Do D.D. (1997) Dynamics of adsorption in heterogeneous solids. Studies in Surface Science and Catalysis, 104 777-835. Do, H. D. and Do, D. D. (1995) A description of adsorption in activated carbon using a hybrid isotherm equation. Langmuir, 11 7: 2639-2647. Hu, Xijun and Do, Duong D. (1995) Validity of isothermality in adsorption kinetics of gases in bidispersed solids. AIChE Journal, 41 6: 1581-1584. Hu, Xijun, Rao, Gade N. and Do, Duong D. (1993) Effect of energy distribution on sorption kinetics in bidispersed particles. AIChE Journal, 39 2: 249-261. Gray, Peter G. and Do, Duong D. (1992) Graphical method for determining pore and surface diffusivities in adsorption systems. Industrial and Engineering Chemistry Research, 31 4: 1176-1182. Bickle, Garry M., Beltramini, Jorge N. and Do, Duong D. (1990) Role of sulfur in catalytic reforming of hydrocarbons on platinum-rhenium/alumina. Industrial and Engineering Chemistry Research, 29 9: 1801-1807. Do D.D. (1989) Effect of surface barrier on the sorption of gases in microporous solids. AIChE Journal, 35 4: 649-654. Do, D. D. and Mayfield, P. L. J. (1987) New simplified model for adsorption in a single particle. AIChE Journal, 33 8: 1397-1400. Do D.D. (1986) Analysis of a batch adsorber with rectangular adsorption isotherms. Industrial and Engineering Chemistry Fundamentals, 25 3: 321-325. Biswas, J., Do, D. D., Greenfield, P. F. and Smith, J. M. (1986) Importance of finite adsorption rate in the evaluation of adsorption and diffusion parameters in porous catalysts. AIChE Journal, 32 3: 493-496. Fixed bed reactors with catalyst poisoning - first order kinetics. Chihara, K., Yamada, N., Tatsuharu, T., Suzuki, Y. and Do, D. D. (2013). Azeotropic adsorption equilibrium of mixed organic solvent on FAU type high silica zeolite - Do's method. In: Separations Division 2013 - Core Programming Area at the 2013 AIChE Annual Meeting: Global Challenges for Engineering a Sustainable Future. Separations Division 2013 - Core Programming Area at the 2013 AIChE Annual Meeting: Global Challenges for Engineering a Sustainable Future, San Francisco, CA, United States, (325-326). 3 - 8 November 2013. Chihara, K., Taira, T., Yamada, N., Suzuki, Y. and Do, D. D. (2012). Azeotropic adsorption equilibrium of mixed organic solvent on FAU type high silica zeolite -interpretation by molecular simulation and Do's method. In: AIChE 2012 - 2012 AIChE Annual Meeting, Conference Proceedings. AIChE Annual Meeting, AIChE 2012, Pittsburgh, PA United States, (). 28 October - 2 November 2012. Nicholson D. and Do D. (2007). On the crossing of low temperature adsorption isotherms of argon on graphite surface. In: 2007 AIChE Annual Meeting. 2007 AIChE Annual Meeting, Salt Lake City, UT, (). November 4, 2007-November 9, 2007. Do, D.D. and Do, H. D. (2003). Adsorption equilibria of sub- and super-critical fluids in carbonaceous materials. In: Chang Ha Lee, Proceedings of the Third Pacific Basin Conference on Adsorption Science and Technology, Kyongju, Korea, May 25-29, 2003. Third Pacific Basin Conference on Adsorption Science and Technology, Kyongju, Korea, (1-8). 25-29 May, 2009. Bae, J. S. and Do, D. D. (2003). On the peculiarity of the minimum of n-hexane permeability in activated carbon. In: Chang-Ha Lee, Proceedings of the Third Pacific Basin Conference on Adsorption Science and Technology. Third Pacific Basin Conference on Adsorption Science and Technology, Kyongju, Korea, (244-248). 25-29 May, 2003. Do, H. D., Ota, J., Prasetyo, I., Nguyen, C. and Do, D. D. (2000). Diffusion and flow of hydrocarbons in activated carbon from low to capillary condensation region. In: Duong Do, Proceedings of the Second Basin Conference on Adsorption Science and Technology: Adsorption Science and Technology. Second Pacific Basin Conference on Adsorption Science and Technology, Brisbane, (189-193). 14-18 May 2000. Ahmadpour, A. and Do, D. D. (2000). Isosteric Heat: A Criterion for Equilibrium Model Selection Proceedings of the Second Pacific Basin Conference on Adsorption Science and Technology. In: Duong Do, Proceedings of the Second Basin Conference on Adsorption Science and Technology: Adsorption Science and Technology. Second Pacific Basin Conference on Adsorption Science and Technology, Brisbane, (36-40). 14-18 May 2000. Nguyen, C. and Do, D. D. (2000). Pore Size Distribution of Micro-Mesoporous Adsorbents determined by means of the multilayering and capillary condensation theory. In: Duong Do, Proceedings of the Second Basin Conference on Adsorption Science and Technology: Adsorption Science and Technology. Second Pacific Basin Conference on Adsorption Science and Technology, Brisbane, (199-203). 14-18 May 2000. Nguyen, C. and Do, D. D. (2000). Studies of Adsorption Phenomena by means of a Heat Excitation Method. In: Duong Do, Proceedings of the Second Basin Conference on Adsorption Science and Technology. Proceedings of the Second Basin Conference, Brisbane, (194-198). 14-18 May 2000. Do, H. D., Prasetyo, I. and Do, D. D. (2000). Surface Diffusion of Hydrocarbon in Activated Carbon. In: Duong Do, Proceedings of the Second Pacific Basin Conference on Adsorption Science and Technology: Adsorption Science and Technology. Second Pacific Basin Conference on Adsorption Science and Technology, Brisbane, (184-188). 14-18 May 2000. Lu, G. Q. and Do, D. D. (1990). Thermogravimetric study of coal reject pyrolysis kinetics. In: Eighteenth Australasian Chemical Engineering Conference Part 2 (of 2), Auckland, NZ, (595-602). 27-30 Augus 1990. Biswas, J. and Do, D. D. (1985). Coking deactivation in a single catalyst pellet. In: Chemeca 83: Chemical Engineering Today, Coping With Uncertainty, the Eleventh Australian Chemical Engineering Conference., Brisbane, Australia, (135-140). 1983. Bhaskar, G.V. and Do, D.D. (1985). Effect of pore size and particle size on the catalytic reforming of C//7 hydrocarbons. In: Chemeca 83: Chemical Engineering Today, Coping With Uncertainty, the Eleventh Australian Chemical Engineering Conference., Brisbane, Australia, (127-134). 1983. Peshkoff, E. and Do, D. D. (1984). Modelling of a continuous retort for oil shale pyrolysis. In: 12th Australian Chemical Engineering Conference, Chemeca '84: Winning in the Competitive World, Melbourne, Australia, (439-444). 26-29 August 1984. Do, Duong Dang (1980). Catalyst Deactivation in Chemical and Biochemical Systems PhD Thesis, Chemical Engineering, University of Queensland.